Many Financial Services Advisors are surprised to learn that digital marketing and social media platforms are the most valuable tools you have to build lasting relationships with your clients. However, with so many options in the digital marketing space…where do you even begin? Actively avoid digital marketing altogether. Surrender saying they are too late to the party. You don’t want to be either one of those advisors. Establishing a presence and promoting yourself on the web gets you and your brand communicating with Generation D or Generation Digital. This group is an emerging and fast-growing cross–generational cohort of over seventy-five million investors, with more than $27 trillion in assets–and that’s before they inherit their Baby Boomer parent’s wealth. This group is well educated, socially savvy, active, and engaged. These investors judge a business in part by its digital footprint. New clients no longer come exclusively from referrals and even the ones who do are checking you out online before you meet. Today’s consumers are more informed than ever before, asking friends and conducting thorough research online on everything from a next blender to their next car and their financial advisor before ever meeting with you face-to-face. How you present yourself online…your “digital personality or voice” is a critical connection point with today’s investor. Deconstructing Digital gives you the jump start you need to be able to find your unique voice in the mostly monotone financial marketplace. You’ll learn how to connect with clients on a personal level through your presence in the digital space. 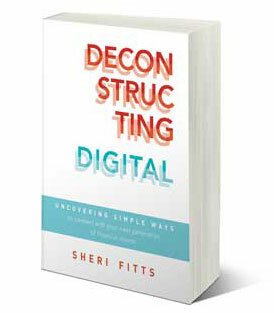 Deconstructing Digital will help you rise above the “white noise” to let you be heard. 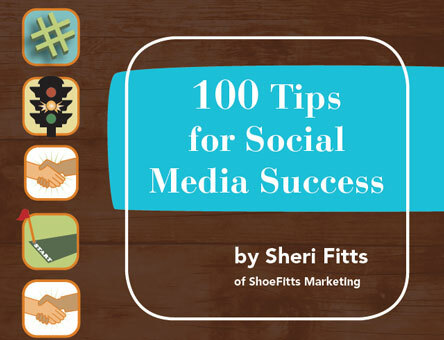 Sheri Fitts shares her personal and professional expertise on all things digital to help you find your “tribe,” which will help you grow and retain your client base for years to come.